The sobriquet “chrysanthemum dogs” is an apt description for Shih Tzus. The way their hair grows in all directions from the nose and around the face makes it look like the chrysanthemum flower. Pronounced SHEED-zoo, this small toy breed is highly prized for its high intelligence, flowing coat, and sweet disposition. Colors available for the breed include solid red, solid black, brindle and white, black and white, white and blue, white and silver, red and white, solid silver, black mask gold, and gold and white. Shih Tzus, especially Shih Tzu puppies, are highly adaptable to their environment whether it is a huge mansion or a tiny apartment. The only thing they can’t do is to live outdoors. It’s because of their small size, their extreme closeness to humans, and their extra sensitivity to heat. They will bark at strangers but will equally trust them once they are inside the home. There is one thing Shih Tzus can do like no other breed. They love unconditionally, making them the best companion dog for all humans, regardless of age and gender. ​​​​Weighing between 9–16 pounds, with a height between 8–11 inches, Shih Tzus are sturdy dogs with a lifespan between 10–18 years. Shih Tzus cannot guard your home nor can they dig a tunnel or hunt for food. They will always be patient in retrieving the balls you throw for you to throw it again. The long-haired double coat of the Shih Tzu dog breed can maintain its luster when its nutritional needs are met. Obesity can also be avoided with a customized and healthy balanced diet. High-quality protein should contain 50 percent to meet their nutritional needs. Foods that are rich in protein come from raw food varieties such as raw eggs, muscle meat, yogurt, cottage cheese, and organ meats. Serving raw food to your Shih Tzu, especially Shih Tzu puppies, requires sanitary methods to avoid bacterial infestation. Hand washing and washing the chopping boards must use either bleach or an antibacterial soap. A raw bone containing scraps of muscle meat meets the Shih Tzu’s nutritional needs as well as keeping his teeth clean. However, since the tiny breed’s nose and muzzle are flat, it might find it difficult to gnaw on the bone. If this happens, the best way is to turn the finely grind the bones and include it with other foods. Some of the food options to include in the dog’s meal include mashed sweet potato or cooked brown rice. This gives the needed carbohydrates needed to maintain their high energy. The long hairs of this dog breed require patient grooming and upkeep. 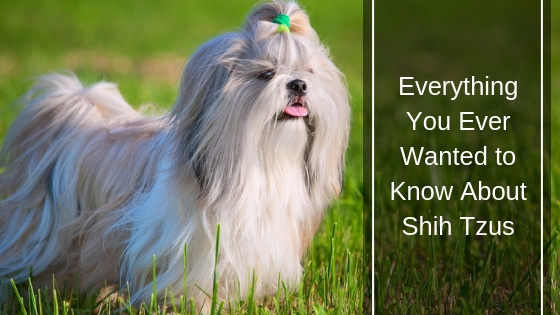 Unless your Shih Tzu is a show dog, simple grooming methods in the home will suffice. Starting the grooming routine when the dog is still a puppy shortens the time and effort when it’s time to do so. A bath once a week is a must for Shih Tzu dogs. Skipping bath time also means skin infections. Nails need to be clipped after the weekly bath. Clipping the hair can be done by either an electric razor or a pair of scissors. One thing to remember though is that the hair of Shih Tzu dogs needs to be brushed daily. Remove any matted hair if there’s any. 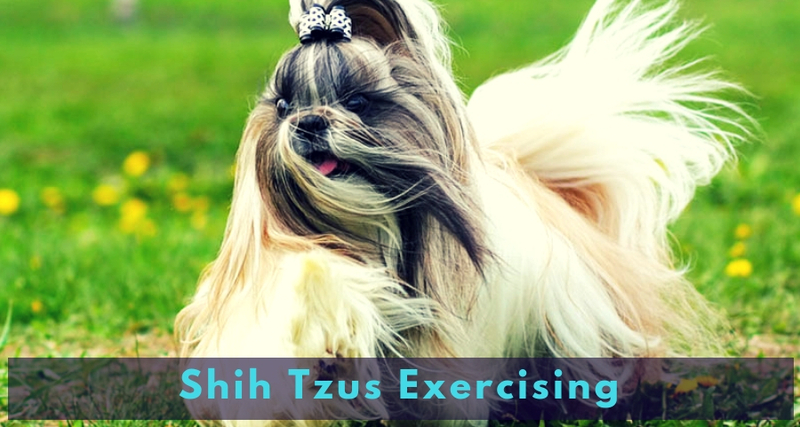 Do Shih Tzu Need A Lot of Exercise? Shih Tzus are indoor dogs for they were bred that way. The dog can be equally happy living in a small apartment or a farm as long as it’s indoors. Shih Tzus are quite active despite their small size. They need to release their energy and a daily short exercise either inside or outside of the home. It has been observed that Shih Tzus tend to manifest excessive barking behavior when their energy levels find no release. The minimum daily walk for the Shih Tzu of around 20–25 minutes helps to maintain its optimum health. Walks are not the exercise that is good for Shih Tzus. They love walking along wide fields or along the beach. Playing catch using a tennis ball is one of the favorite playtime Shih Tzus love. Exercise during summer time should be done in the early hours of the morning. Shih Tzus and the heat are not companionably matched. Evening walks during the summer is another option. A basic dog behavior understanding, consistency, and gentleness are the best methods to use when training the Shih Tzu. Although Shih Tzus are friendly and affectionate they have also earned the reputation for being the most difficult to housetrain. It is because the breed is stubborn and early training is a must if you want a companion that is well-behaved, calm, housebroken, and friendly. The small bladders of the Shih Tzus make toilet training a bit tough. The trick is to take them outside a couple of times a day. For instance, you can take it out after a play, a meal, or a nap. Take the Shih Tzu outside as soon as an accident happens. This will help the dog associate the accident with going outside. Reward and praise them every time they go outside or use the bathroom to do their toiletry. Can Shih Tzus Become Effective ESA Dogs? Yes. 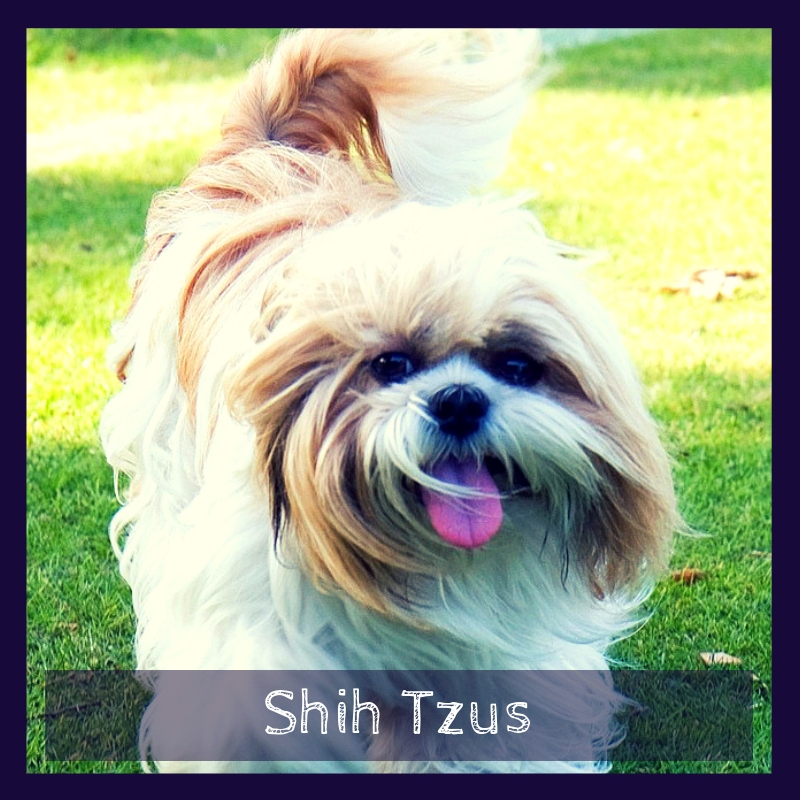 Shih Tzus are affectionate and loyal even when their temperament varies from dog to dog. Their stubborn nature sometimes makes it difficult to train them. However, Shih Tzus can be an excellent ESA animal if trained successfully. Its small size and friendly nature towards other dogs and people make it an ideal canine companion to register as an emotional support dog. Those bulgy and big eyes along with the short face make the Shih Tzu prone to eye infections and inflammation. Corneal ulcers are another major concern that is caused when he uses his paws to rub his eyes. Hot days can bring on breathing difficulties. Heatstroke is one of the major health concerns for the breed. The original idea for breeding Shih Tzus in Tibet is to provide the perfect companion to the royal family. The modern role of this small breed is still to provide companionship as well as a lap dog. The unconditional love Shih Tzus give to humans and the world, in general, makes the breed an ideal companion for everyone.